Hat Attack is a privately owned retailer selling an exclusive selection of hats and accessories, primarily to wholesale accounts. They’ve had an e-commerce website for a while, but were experiencing difficulty uploading product images and other problems related to outdated code, plus they wanted to broaden their opportunities to sell directly to consumers. Switching to a Magento based website enabled adding the functionality they needed to meet current and long-term goals, which include expanding the marketing reach of their product lines. Harris Web Works redesigned and rebuilt their site, migrated the existing database to the new website, and added new content. In addition, the site was built to maximize search engine results, which will continually improve as the site gets new content and increased traffic. Harris Web Works handles the Magento site administration on an ongoing basis, continually adding new products, promotions and more. As an important part of attracting leads and sales, Harris Web Works also set up the related online marketing functionality necessary for Hat Attack products to appear on the major comparison-shopping websites. 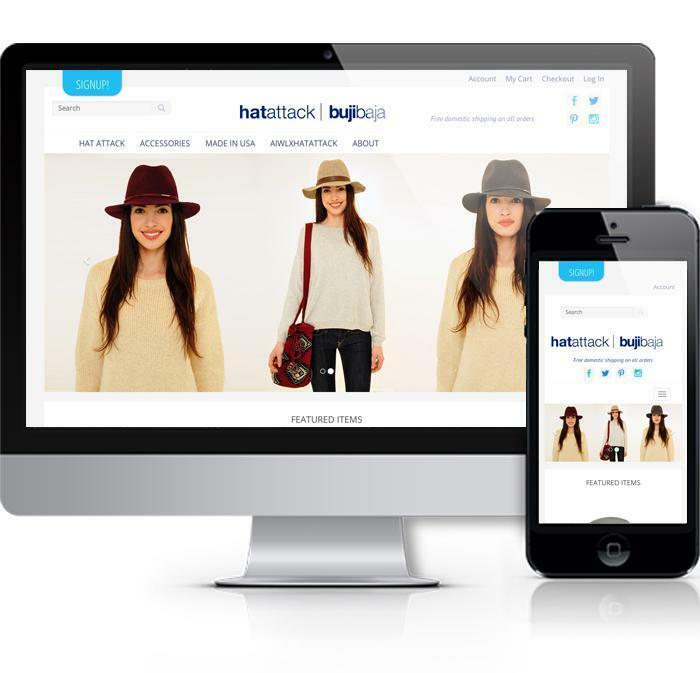 In summary, the Hat Attack site now functions as an up-to-date e-commerce site should; it’s mobile-friendly, responsive, easy to integrate with Google Shopping (and other channels) and ready for remarketing campaigns.